There's no place to fall in love like the place you left your heart Welcome to Honeymoon Harbor, the brand-new, long-awaited series by beloved New York Times bestselling author JoAnn Ross, where unforgettable characters come face-to-face with the kind of love that grabs your heart and never lets go.Working as a Las Vegas concierge, Brianna Mannion is an expert at making other people's wishes come true. 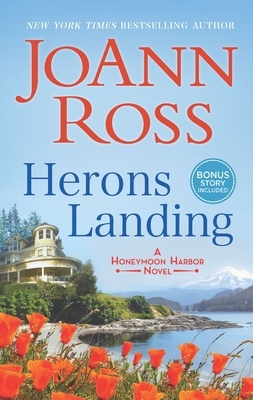 It's satisfying work, but a visit home to scenic Honeymoon Harbor turns into a permanent stay when she's reminded of everything she's missing: the idyllic small-town charm; the old Victorian house she'd always coveted; and Seth Harper, her best friend's widower and the neighborhood boy she once crushed on--hard. After years spent serving others, maybe Brianna's finally ready to chase dreams of her own.Since losing his wife, Seth has kept busy running the Harper family's renovation business and flying way under the social radar. But when Brianna hires him to convert her aging dream home into a romantic B and B, working together presents a heart-stopping temptation Seth never saw coming. With guilt and grief his only companions for so long, he'll have to step out of the past long enough to recognize the beautiful life Brianna and he could build together.